The moon bound Apollo missions sent three things along, a LEM, a Command Module, and a Support Module. Apollo 8 was the only moon bound launch that didn’t carry a LEM, so we will save it for later. CSM was the common abbreviation for the linked Command Module and Support Module. The photo at the top of this post is a CSM. 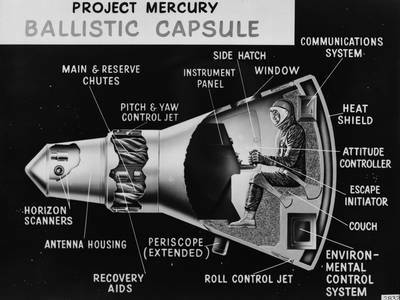 In the original Mercury spacecraft, (shown here) the single occupant was in a closed space with all his supplies of air and, on longer flights, water and food. Flights were short and maneuverability was minimal. There was no need to store large quantities of fuel or oxygen. The retrorockets which burned to return the craft to earth were outside the vehicle and behind the heat shield; this was also true on the Gemini craft. On Gemini flights, the ability to maneuver was critical. Gemini was the program in which astronauts learned how to rendezvous and dock and how to perform space walks. (EVAs; extra-vehicular activities) Gemini was also designed to test the effects of long term weightlessness. There was a need to store large quantities of fuel and oxygen, so a section was added between the crew cabin and the heat shield. It was not accessible from the crew space. You can see it in the silhouette of the Gemini spacecraft shown here. Gemini could not contain both enough oxygen for very long missions and enough fuel for major maneuvering. Long missions were loaded up with oxygen, but little fuel. Rendezvous and docking missions were shorter and loaded up with fuel. The trip to the moon would take plenty of breathing oxygen and maneuvering fuel, and a lot more besides. All this, and fuel cells for electricity, were crammed into the Support Module. It also had to act as another stage in the Saturn rocket. It had to have a large engine and fuel supply to use while entering lunar orbit, and when exiting lunar orbit to return to Earth. A comparison of the three photos will show that Mercury and Gemini had only retrorockets for return, strapped outside the heat shield, along with maneuvering thrusters you can’t see in the pictures. The bell of the CSM’s large rocket is clearly visible. 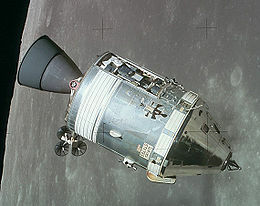 With Apollo, the heat shield was moved back to the base of the crew space. The Command and Support Modules were designed to be separated just before reentry. The Support Module burned up in the atmosphere while the Command Module was slowed by its heat shield before landing by parachutes. 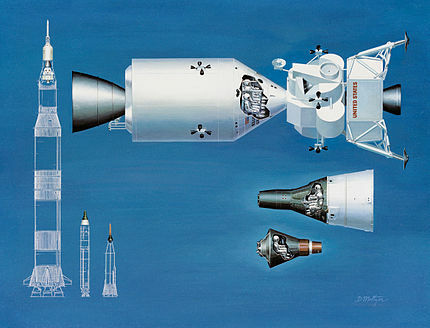 This poster from NASA shows all three spacecraft side by side, at scale, with the LEM thrown in as a bonus. We’ll look at the Apollo 8 mission itself on Wednesday. This entry was posted in A Writing Life and tagged science, space travel, spaceflight, writing on December 17, 2018 by sydlogsdon. When I was new to reading science fiction in the early sixties, Clarke, Heinlein, and Asimov were everybody’s big three. Bradbury was in the next rank, but not for me. I found him unreadable. Andre Norton was still out in the cold for most people, but she, Clarke, and Heinlein were my personal big three. Asimov didn’t make the cut. I read a few of his novels, didn’t like them, and moved on. Recently I ran across his summary autobiography, It’s Been a Good Life, edited by Janet Jeppson Asimov. It reminded me that I knew very little about the man, so I took it home. Asimov has three full autobiographies, and a list of publications that goes on for eighteen closely packed pages. After his death, Janet Asimov published autobigaphical excerpts under the title It’s Been a Good Life. 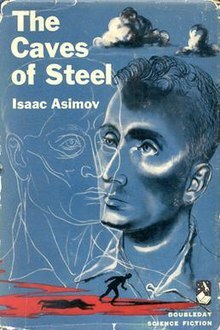 At 238 sprightly pages, 98 percent by Asimov himself, it was just right for someone who wanted to be fair to an author who is an acknowledged master. 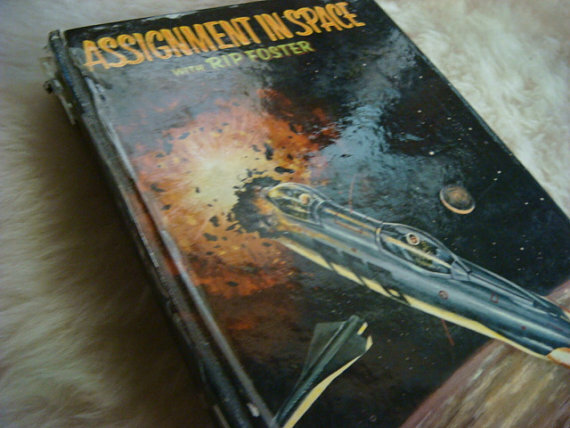 Searching my memory and his bibliography, I found that I had read four of his novels: Lucky Starr and the Moons of Jupiter, The Stars Like Dust, and a couple of his early robot novels, each only a few years after they were published. I thought the first two were just adequate and the robot novels were dull. By the time I got to Foundation, I decided to skip it, along with anything else he might write. My local county library was full of science fiction I enjoyed, so why bother with Asimov. It occurs to me now that might have been an error. From 1960 onward, Asimov wrote everything on every subject. It seemed to me that he had written every third book in the library. I dived into one or another from time to time doing research for my own writing. They were accurate, easy to read, and cursory, which is exactly what they were supposed to be. By the eighties he was writing SF novels and winning awards once again. In 1989, he wrote Nemesis. He said this about it, “My protagonist was a teenaged girl and I also had two strong adult women characters. I placed considerably more emotion in the novel than was customary for me.” That sounds more my style, since lack of emotion was my complaint about his early work. I think I’ll check it out. One last note for writers and would-be writers: This book is a treasure trove. I agree with pretty much everything he says about writing, but go read it from a man with far more credentials than I have. The brackets in the quotation are from Janet Asimov. She uses them to give context and continuity to excerpts which would otherwise be unintelligible. It is competently and smoothly done. Full disclosure time: After completing this post, I obtained a copy and read the first few pages of Nemesis. Sorry, I still don’t like Asimov’s writing style, but that’s all right. Not everybody likes Shakespeare, either. This entry was posted in A Writing Life and tagged literature, memoir, review, science, science fiction, writing on April 18, 2018 by sydlogsdon. Continuing from 472. Teaching Space and 474. They Never Flew (1), this post will discuss three manned space programs that never happened. Eisenhower, Kennedy, Johnson, and Nixon were the presidents who took us into space. Whatever you think of any of them, they will always have that marked down on the positive side of their ledger. Other presidents aspired to join them. How much of their thinking was patriotic for America, patriotic for all of mankind, or pure political calculation, is way outside the realm of my knowledge. I’m going to give them all benefit of the doubt and just talk about the programs themselves. You can spin motives any way that suits you. Regan proposed NASP, the National AeroSpace Plane, also called the X-30. In his 1986 State of the Union, he said that we should produce a vehicle which would be “a new Orient Express that could, by the end of the next decade, take off from Dulles Airport and accelerate up to twenty-five times the speed of sound, attaining low earth orbit or flying to Tokyo within two hours.” It was an exciting idea, coming out of DARPA where it had begun as a black project. NASP was supposed to produce two prototype planes, but neither was ever built. That doesn’t mean that it was a political scam. The technological difficulties of the project were staggering. In detail, NASP was cutting edge. As an idea, the horizontal launch of a spacecraft was old in science fiction. There it was usually accomplished by electromagnetic technology, with ground based and powered launchers and only maneuvering fuel on the vehicle itself. See many early Heinleins, especially Starman Jones and The Moon is a Harsh Mistress. One reason rockets take off vertically is to get mostly out of the atmosphere before achieving speed. That way, massive friction is only a reentry issue, when it can be used to advantage. NASP was a jet, not a rocket. It had to operate primarily inside the atmosphere. This has the advantage of avoiding carrying oxidizer, but has a series of disadvantages. Friction heating is an obvious one. In addition, its engine would have to operate in three modes — as a relatively conventional jet at takeoff, as a ramjet once sufficient speed had been achieved, then as a scramjet (supersonic ramjet) once it passed the speed of sound. At that time, no one had successfully built a scramjet, and NASP didn’t make it happen. The first scramjet, the X-43, made a brief flight in 2001, eight years after NASP was cancelled. No one has successfully built a skin that can withstand reentry level heating on a continuous basis, either. NASP was too far ahead of its time. I spent a few years explaining to my kids how it was supposed to work — before it didn’t work, and silently crept away. 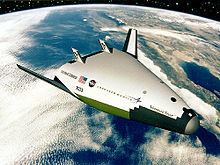 Then came Venturestar, which, if it had been successfully completed, would have done what the Space Shuttle was originally designed to do. It was to be a vertically launched, completely reusable, single stage to orbit vehicle with a wider and more efficient lifting body that would have allowed it to land, in emergencies, on shorter runways than the Space Shuttle. To do all this, it would require new and untested technologies, including composite material LH tanks, a new tile-free heat resistant skin, and an aerospike engine. The project was divided into two parts. 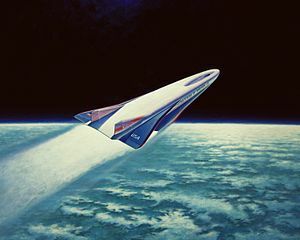 To demonstrate the feasibility of the new technologies, a one-third size, unmanned model of the VentureStar, called the X-33 was to be built and tested, and only then was a full sized VentureStar to be constructed. Things did not go well. When the X-33 was partially completed a version of its composite LH tank was tested and failed to hold pressure. Alternatives existed, but the decision was made to cancel the project. The funding for the X-33 was a complex mixture of commercial and governmental funds, and continuation depended on all parties agreeing. That didn’t happen. 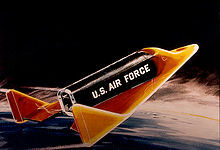 The Air Force was still part of the mix, as with MISS and the Dyna-Soar, as with the black missions by the Space Shuttle, but their request for continued funding was denied. The Air Force eventually got the X-37b instead. The X-33, and with it the VentureStar, disappeared. For a view that the cancellation should not have happened, click this link. From the perspective of a science teacher, VentureStar had been a godsend, full of all the excitement the Shuttle and NASP had lacked. Once it failed, my kids had no future in space that they could personally dream about. Then came Project Constellation. By that time, my days as a teacher were coming to a close, so I did not have to face the daunting task of generating enthusiasm for a cobbled up rerun. 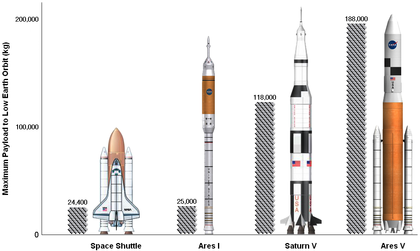 Ares I, the small booster, was built out of Space Shuttle leftovers and Ares V, the large booster looked suspiciously like a Saturn V reboot. The Orion Crew Exploration Vehicle was an oversized Apollo capsule and the Altair moon lander was a LEM on steroids. Not only was Project Constellation going to do again what had been done forty years earlier, it was going to use essentially the same hardware. I didn’t buy it. I didn’t try to sell it to my kids. It died four years after it was floated. The future isn’t dead. The Space Launch System continues where Constellation failed and private enterprise has more strongly entered the mix. Today’s science teachers should be able to say, “You might be the first person on Mars,” with a straight face. I continue to hope. This entry was posted in A Writing Life and tagged history, military, politics, science, teaching, writing, X-craft on April 5, 2018 by sydlogsdon. Continuing from 472. Teaching Space, this and the upcoming April 5 post will discuss the manned space programs that never happened. Wikipedia lists seven manned pace programs which were canceled before they were launched, but this list is only technically accurate. MISS, Man in Space Soonest, was a project from the early days when the Air Force planned to dominate space. The preliminary work was transferred to NASA when it was formed and became Project Mercury. Technically, MISS never flew; looked at more reasonably, MISS became Mercury, which was quite successful. 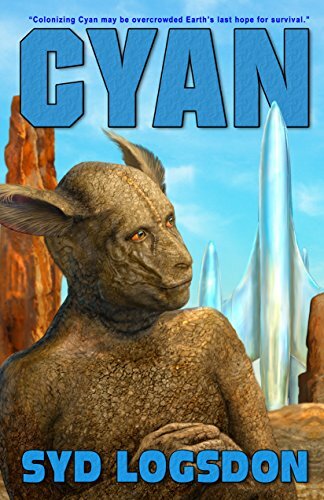 Dyan-Soar was a follow up Air Force project which planned to put a winged craft into low earth orbit, and subsequently turn that into an ultra-long range space bomber. It was contemporary to Project Mercury. There was not enough money or will to keep them both, so Dyna-Soar was cancelled, only to be reborn, in a manner of speaking, as the Space Shuttle. For details see 342. Dyna-Soar. 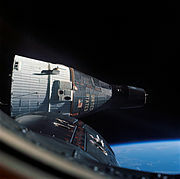 The Manned Orbital Development System, Blue Gemini, and the Manned Orbital Laboratory were successive names for the same secret project, designed to use modified Gemini craft to service an early one-use space station as an orbital observation post. It got to the point of one unmanned launch before being cancelled. It was made obsolete before it went into service by advances in unmanned reconnaissance satellites. For details see 256. The Space Station that Never Was. By the time I started teaching, the era of manned space exploration was over, but there were plenty of manned space flights. The shuttle had 135 manned missions; Mercury, Gemini, Apollo, Skylab, and Apollo-Soyuz combined had only flown 35 manned mission. However, none of the Shuttle flights were explorations. The early Shuttle flights were exciting and technologically innovative, but they only went where Mercury had gone two decades earlier. The flights quickly became routine. They were dangerous — Challenger and Columbia proved that — but danger alone does not bring excitement. Commuting on a freeway is dangerous, but only exciting during moments of imminent disaster. The Space Shuttle was supposed to be a cost saving way to space, but it proved quite expensive. It was supposed to be reusable, but that turned out to be only partially true. It was supposed to be single stage to orbit, but it never was. Each launch had four components, not one. The fuel tank was only used once. The two solid fuel boosters had to be recovered from the ocean and refurbished each time. Only the orbiter was fully reusable, and it had massive problems with failing tiles. A vast number of its flights were spent building and maintaining the International Space Station. Many scientists tried to stop the construction of the ISS, claiming that not much science would be done there, but the cost would cripple other exploration. They were not listened to. Politically, the ISS was a demonstration that the cold war was over and the US and Russia were now pals. You know how well that turned out. From the viewpoint of science, plenty of exploration was going on in my kids’ era, but it all involved unmanned craft. From the viewpoint of a teacher trying to excite middle school kids, a Mars rover landing was great, but if it couldn’t be followed up by a statement like, “You may go there someday,” if fell relatively flat. None of the kids I taught in the eighties are going to Mars; by the time anyone gets there, those kids will be retired, and they knew it at the time. The only manned space craft of my kids’ generation was the Space Shuttle, and it was only flying to low earth orbit. A lot of good science got done by the shuttle (and a lot of political nonsense) but it wasn’t the same. Mercury, Gemini, and Apollo were like going down the Amazon in a dugout canoe, with adventure around every corner. The shuttle was like driving to Sacramento on Highway 99. Dangerous, yes, but not exciting. But every year there was hope. New manned space projects kept being proposed, and I studied all of them so I could teach my kids something that would excite them. This entry was posted in A Writing Life and tagged history, politics, science, spaceflight, teaching, writing on March 26, 2018 by sydlogsdon.